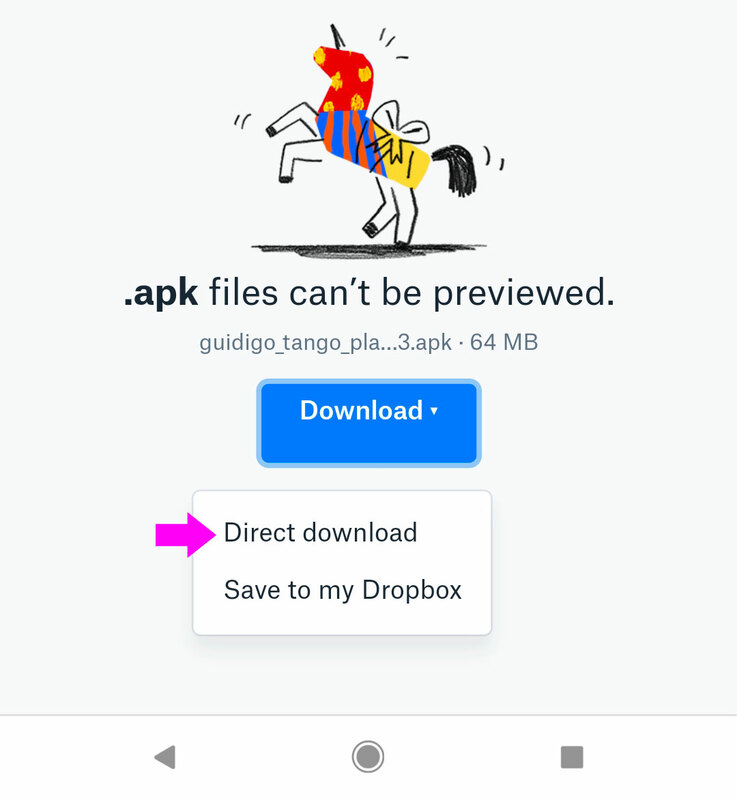 On your device, open the mail that contains the Dropbox link to the .apk. Select "Or continue to website"
If you haven't saved any file from Chrome in the past, you could be asked to let Chrome access your device storage. In this case, please confirm. When the file is downloaded, launch the ‘File Manager’ app of your device. 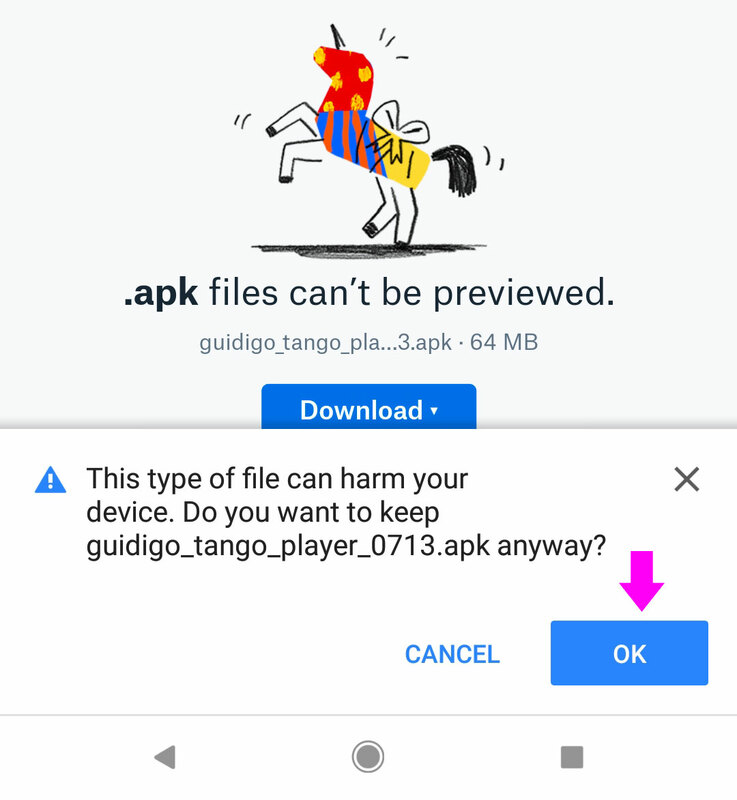 Head to the Downloads folder and tap the .apk name in the list. Do you get a message "Can't open file"? All the file manager apps won't let you install an app by tapping its name. In case yours don't allow it, you should eg. install File Manager from the Play Store. Then pursue from step #6. 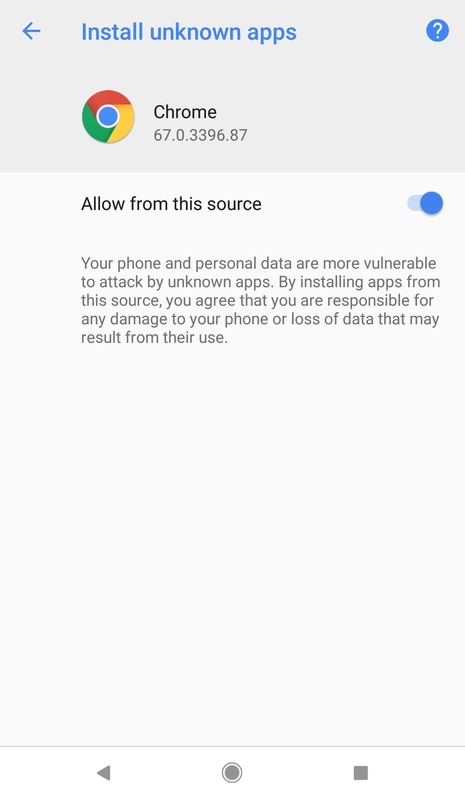 If you get a popup about Chrome authorization, tap SETTINGS, ​then turn on the option "Allow from this source". Tap the Back button at the bottom of the screen above, then tap INSTALL. First time you launch the app, make sure to tap ‘Allow’ for each of the three permissions.